Unless it is a burrito shop like Chipotle, my husband balks at the idea of going out for Mexican food. He just does not like it. But, he loves my homemade Mexican cuisine. Authentic or more likely, not, my homemade enchiladas, nachos, fajitas, and tacos hit his taste buds just right. I love to make all of these dishes from scratch, including homemade dairy-free “cheese” for the nachos. However, when it comes to quick Mexican-inspired meals, I rely heavily on my good ol’ taco seasoning. 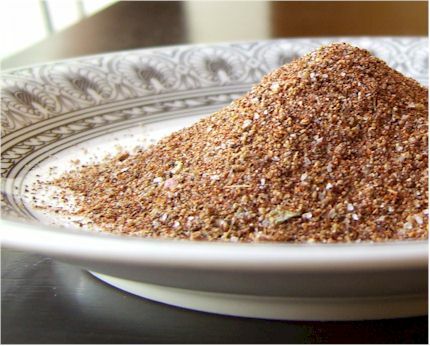 In fact, over the past few weeks I have whipped up this taco seasoning about a half a dozen times. I will share the recipe for the meals I have made with it in upcoming posts, but for now, I thought that I should start out by sharing the taco seasoning from my guide and cookbook! You can of course use store-bought taco seasoning, but really, this tastes so much better, has no additives, and is a great frugal alternative to packaged and processed foods. We use a mild chili powder, as we prefer to control the heat of our meals after the fact, with hot sauce or salsa to taste, but you can use a medium or hot one if you prefer. This recipe is Vegan, Dairy-Free, Egg-Free, Soy-Free, Gluten-Free, Wheat-Free, Sugar-Free, and Non-Fat. In a small bowl, stir all of the ingredients together. If not using immediately, store in an airtight container. To Prepare: Add the full batch of this seasoning mix to 1 lb of almost cooked ground meat, cubed chicken, vegan “meat” crumbles, cubed tofu, or chopped vegetables. Finish cooking with the seasoning incorporated to help the flavors meld. Gourmet Tortilla Chips: Winners, Coupons, and a Recipe Contest! 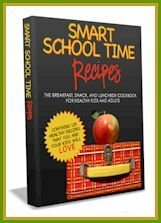 Giveaway: Snacks and Cookies for Everyone! Oh I wish I would have looked at this before making enchiladas tonight! I didn’t even think to add oregeno, but that sounds very yummy!! 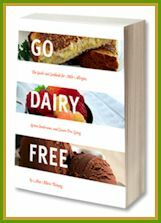 homemade dairy-free cheese? i need to find out how to do this! Great recipe. I’ve started buying taco seasoning from my co-op. Probably not as tasty as homemade, but better than McCormicks. This is great! I’ve always wanted to know what’s in those seasoning packets! Now I can make my own! I just found your blog and love it! This sounds so great…how long will the seasoning keep? Amy @ What Do I Eat Now? this looks so yummy!!! i love mexican flavoring! This is really very helpful..Thanks for sharing. We love Mexican food at our house! I have all of these ingredients on hand so I’m going to stir up a batch the next time I need taco seasoning. I completely agree that the flavor is so much better when you make it homemade. I haven’t used the packets in years. My recipe is similar to yours with a few minor differences, plus I make my own chili seasoning and just recently found a homemade enchilada sauce I really like too. Great post! link and here I am. Hi and nice to know you. Thanks for this taco seasoning recipe. I’m looking forward to make use of this if I want to make a Mexican inspired dish at home.